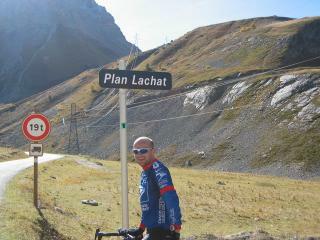 Few Le Tours climbs are harder. For many years, until the rarely-used Iseran, Bonette and Agnel climbs made occasional appearances, it was the highest climb of the race, taking Le Tour up to the very edges of the summer glacier line, a climb that tests endurance, strength and will to their limits. Both sides of the climb are steep, with uneven gradients. 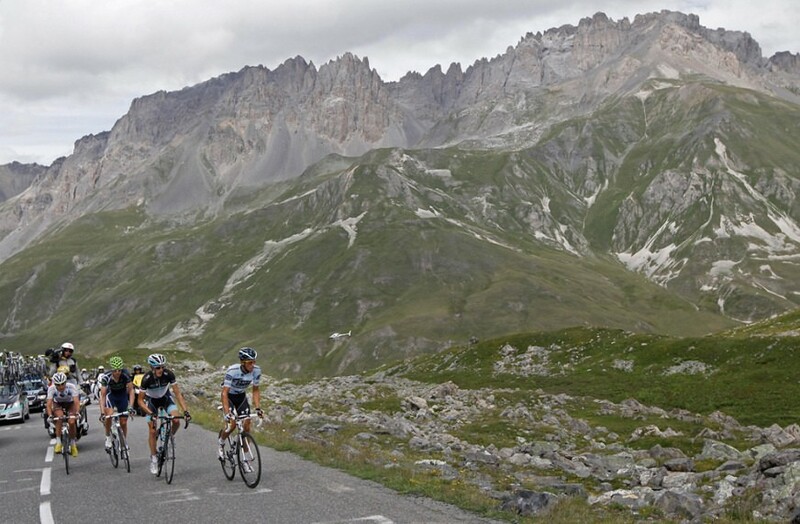 And this is without taking into account the fact that before a cyclist can ride the Galibier, he or she must sit a tough entrance exam, in the form of the Col du Lautaret on the south side, and the Col du Télégraphe on the north. 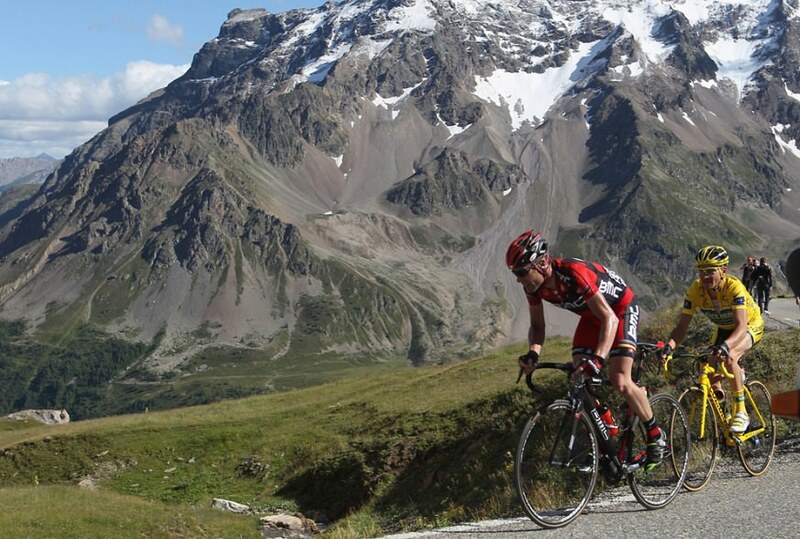 These two climbs stand guard on the Galibier, adding to its feeling of isolation. 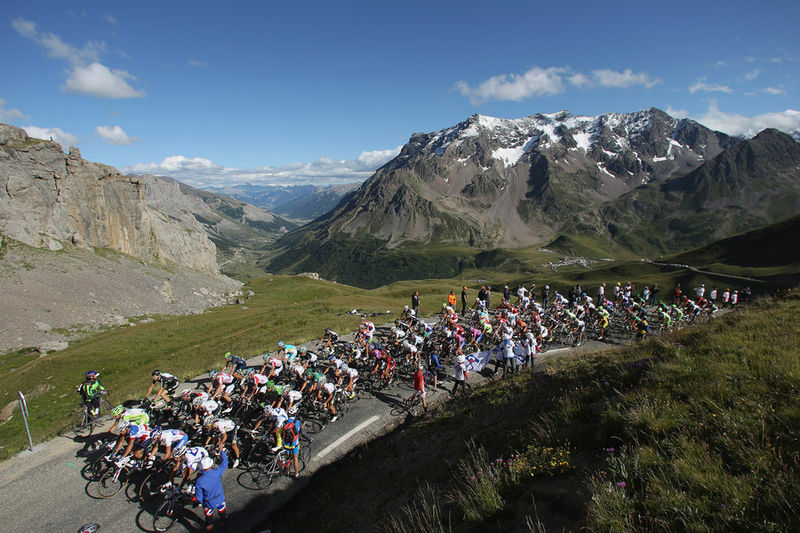 The Tour de France has climbed from both sides, but it is the north side, from the Col du Télégraphe, that is the hardest, and where most of the Galibier’s Tour de France story has been told. 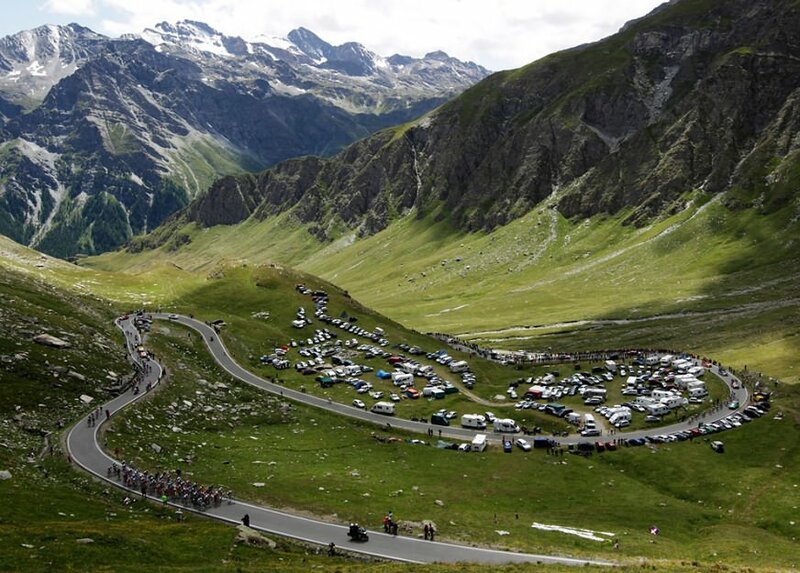 iii) often the highest point of the Tour de France. It connects Saint-Michel-de-Maurienne and Briançon via the Col du Télégraphe and the Col du Lautaret. It is located between the massif d'Arvan-Villards and the massif des Cerces, taking its name from the secondary chain of mountains known as the Galibier. The Galibier’s northern side starts in St-Michel-de-Maurienne, and the gradient kicks in where the D902, which goes all the way to the top of the Galibier, passes under the A43 autoroute, level with a small church. 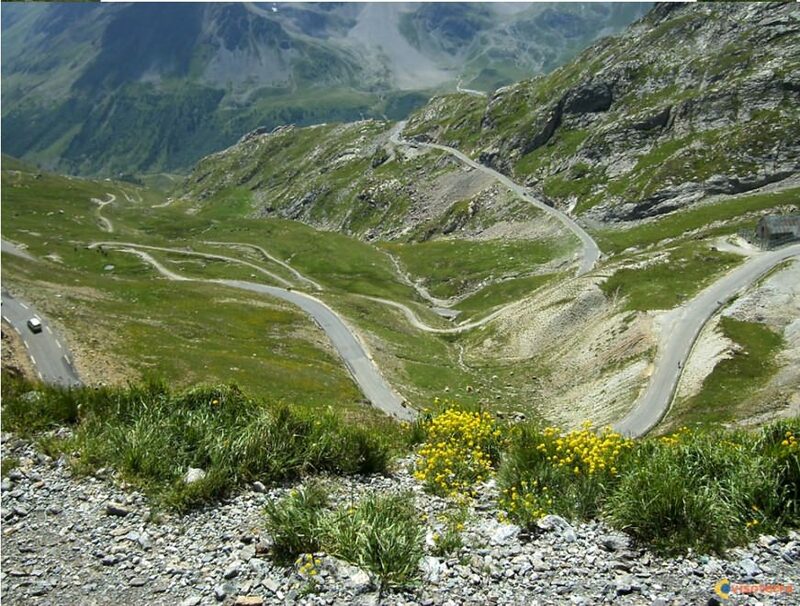 From St. Michel de Maurienne you first climb the 11.8km Télégraphe which after the first kilometres eases off. 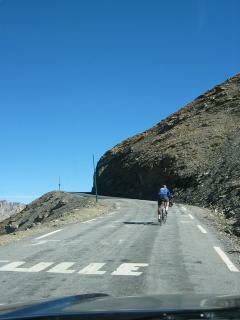 This is the Col du Télégraphe, the stepping-stone to the Galibier. The Télégraphe was named because of the TV and radio masts that have been on its summit almost since TV and radio were invented. The pass also had huge military importance. Old concrete gun emplacements sit overgrown and brooding among its wooded slopes, and a there is a huge fort close to the summit of the climb. The gradient of the Télégraphe varies between six and 10 per cent, giving an average of seven per cent for 12 kilometres. The steepest part of the climb comes just after a group of chalets about one quarter of the way up. The Télégraphe is neither very long nor very steep, but it’s got enough of both to ensure that any rider hoping to top the Galibier won’t even start doing so with fresh legs. After the summit, there’s a three-kilometre descent into the ski town of Valloire, but this five-minute respite is too short to provide recovery. 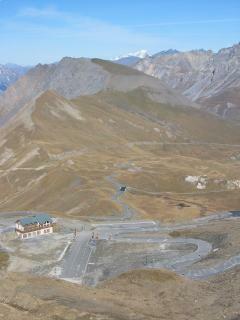 And then, before the last few houses and hotels of Valloire, the Galibier rears straight up. 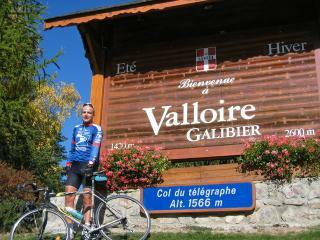 After a 10% section just outside the village of Valloire, the climb eases off along the river Valloirette. Continuing up this section there still doesn’t look to be any way out of the valley but suddenly, at a non-descript bridge over a rushing mountain stream, the road veers sharply right at the restaurant Plan Lachat where the real climb starts with hairpin following hairpin for seven kilometres of relentlessly steep climbing. You pass the 2,000 meters border and the climb becomes ever steeper, whereupon the average is not less than 8% and you can often see both white and black snow there. The final kilometres are >11%. The summit is a bleak, windswept spot, a remote world of silence. At 2,646 metres above sea level, the only sound is a thin and sometimes freezing wind and the only colour is the sun-bleached and washed-out grey of the rocky scree between the hairpins. In the distance, massive jagged peaks in a 360-degree Alpine panorama. Down the mountain, a film of thin grass gives the lower slopes a veneer of life. 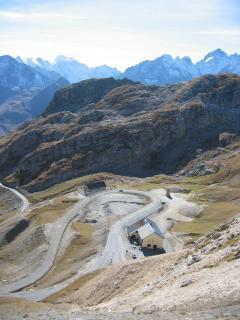 This is the Col du Galibier. She done it, and she ain't half proud of it. 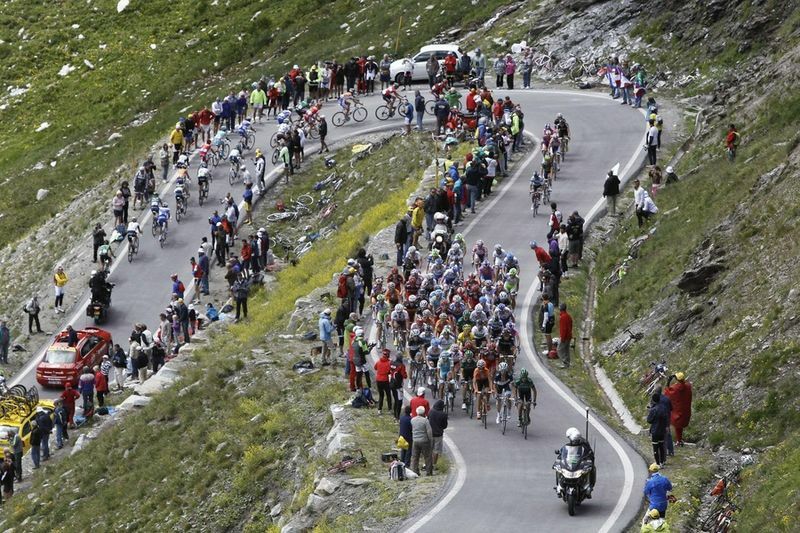 Cadel Evans (L) of Australia and BMC Racing Team followed by yellow jersey leader Thomas Voeckler of France and Team Europcar on the final climb to the Galibier summit during Stage 18 of the 2011 Tour de France, on July 21, 2011 in Galibier Serre-Chevalier, France. 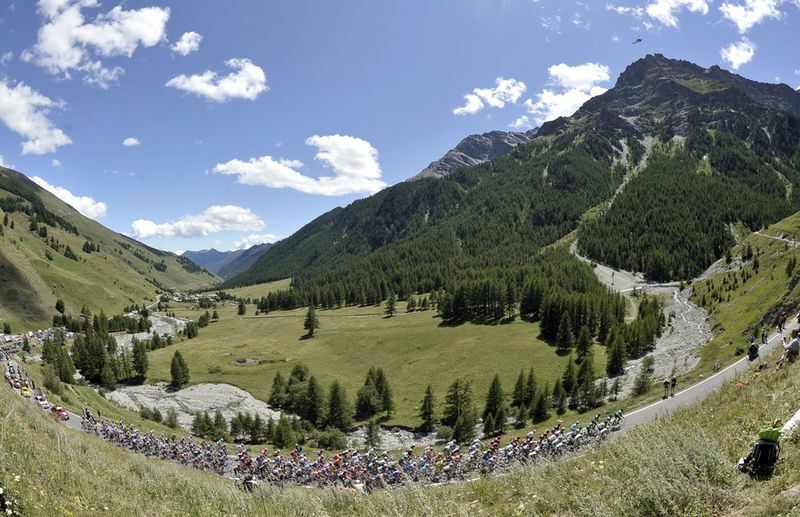 The pack of riders pedal up the Col de l'Ange during the 18th stage from Pinerolo to Galibier Serre-Chevalier in the Tour de France, on July 21, 2011. Three-time Tour de France winner Alberto Contador of Spain, Andy Schleck of Luxembourg, Rui Alberto Costa of Portugal, and Christophe Riblon of France, from right to left, climb Galibier pass during the 19th stage of the Tour de France, over 109.5 kilometers (86 miles) starting in Modane Valfrejus and finishing on Alpe d'Huez, Alps region, France, on July 22, 2011.